Fred Fox lived for many years in Arborfield until retiring to Dorset. His most tangible memorial is the Recreation Ground, which he championed for a long time until it was opened in the mid-1970s. 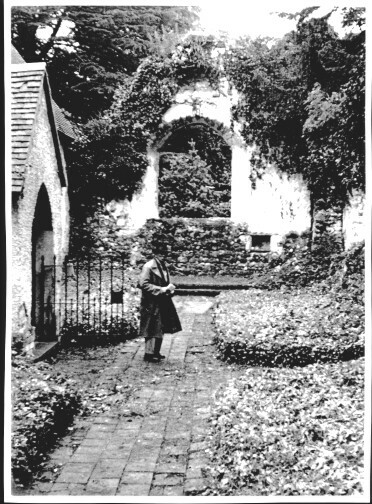 However, Fred also had an interest in the Old Church ruins, and we have several photographs taken at different times on this subject. 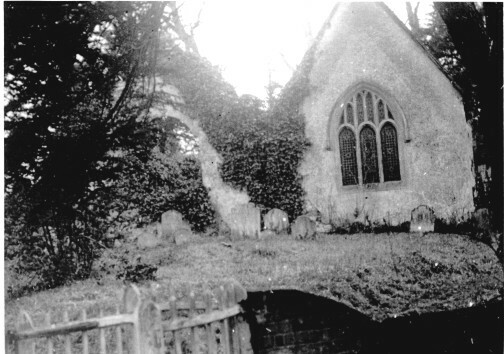 The first shows the West elevation with the Conroy Chapel behind it, taken in 1937. The next photo is from within the Nave, but also taken from the west, and dates from 1940. This view is from the East elevation, and taken in 1936. 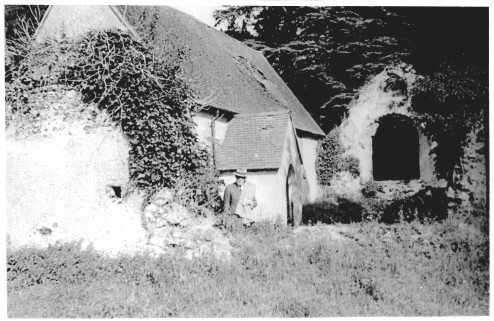 The kissing gate in the foreground has long since disappeared, and the ivy has since taken its toll both of the main arch and the remains of the Conroy Chapel.